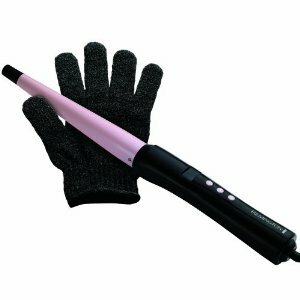 This is the summary of consumer reviews for Revlon RV544PKF 1875W Tourmaline Ionic Ceramic Dryer. 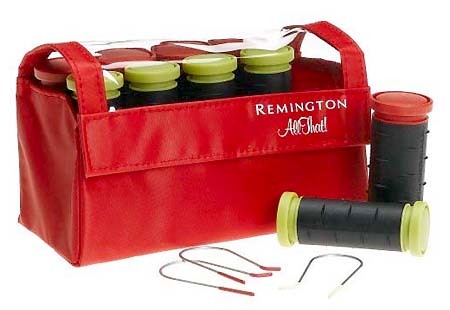 The BoolPool rating for this product is Very Good, with 4.20 stars, and the price range is $16.09-$27.99. 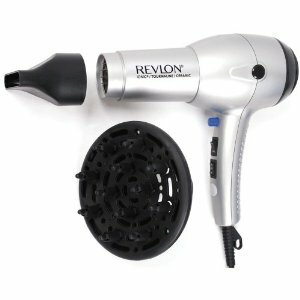 Revlon RV544PKF is an 1875 Watt Hair Dryer that features Tourmaline Ionic Technology for ultimate shine, volume, and healthier looking styles. Now you can style your hair the way you always dreamt of by using 2 heat settings, 2 speed settings and cold shot button on this lightweight hair dryer. 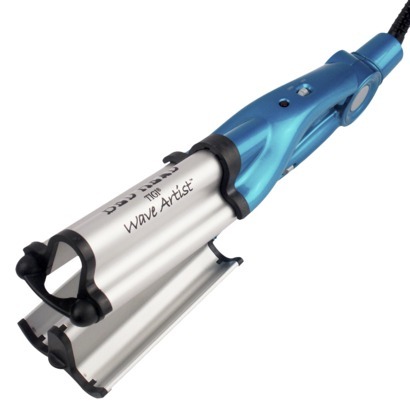 Use the diffuser attachment to create curls, volume, and texture in your hair. This hair dryer with diffuser is around 25 percent lighter than your average dryer, which means it is easy and convenient to use. 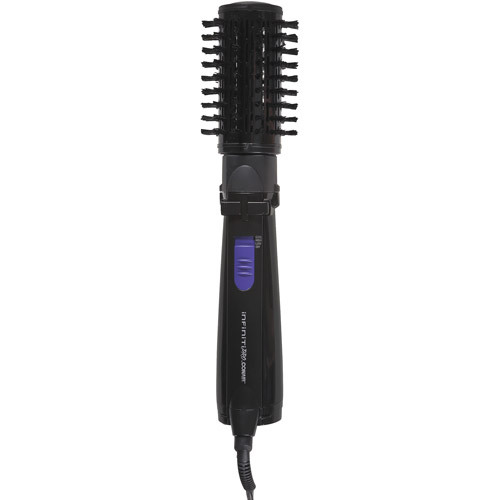 This unit is super quiet and cuts the hair drying time by half. It is easy to hold in hand, has hinged end-cap and anti-skid bumpers. Some users find it hard to get the right heat and speed settings for fine hair. It may be too hot at “Hot” setting. 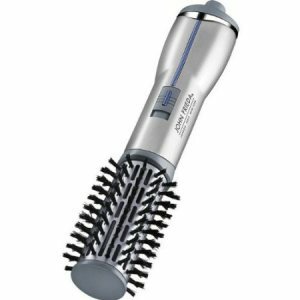 Overall, Revlon RV544PKF 1875W Tourmaline Ionic Ceramic Dryer is a sleek and upscale looking hair dryer which gives good performance and comes at a very reasonable price. Get this Revlon hair dryer and impress your friends with a different hairstyle each time. This hair dryer has cut my dry time in half. I blow dry my hair everyday and have medium length coarse hair and this dryer does cut my drying time about half (from 20 mins to 10 mins). I've long, thick hair, and w/ my old hair dryer it took 10-15 mins to dry my hair. I've very thick wavey hair and this dryer cut my dry time in aprox. It cuts my drying time in half! Not long enough for long hair to dry effectively. It really does cut my drying time in half and my hair feels so silky and smooth! 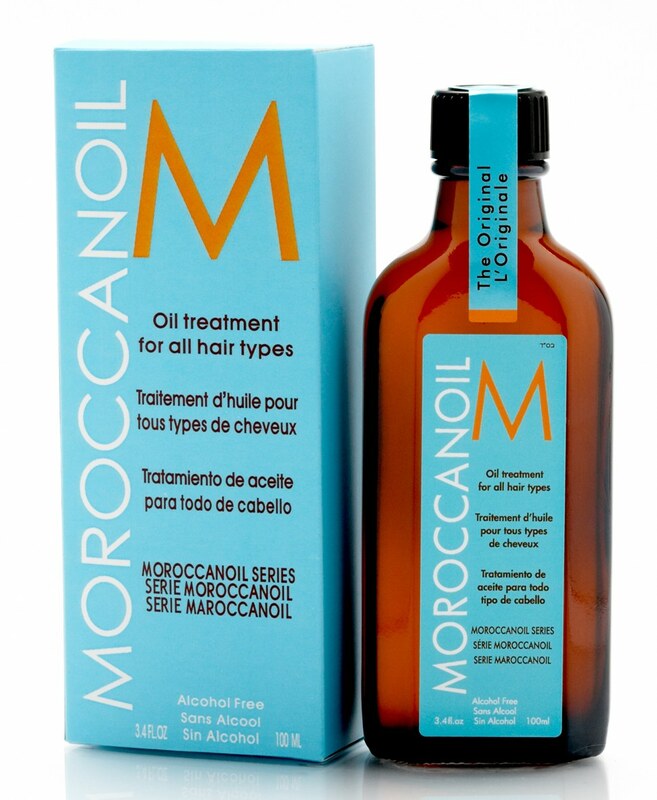 It works extremely well to smooth and quickly dry hair. She was drying her hair for > 20 minutes. It does dry my hair faster than my pervious dryer, if you'd long or thick hair, I bet this dryer would really make a difference. It dries my hair pretty darned fast. What I love about this hairdryer is that when it dries it seems to separate the locks of hair making my layers look shiny and pretty. When I used other hairdryers, my hair is very noticeably frizzier and less shiny compared to this Revlon. 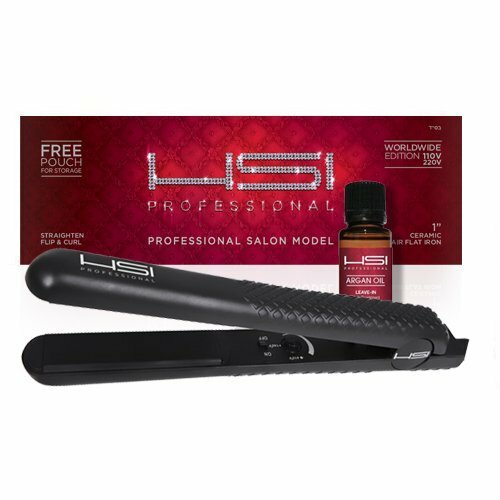 Pros: Very lightweight, cord is a little bit longer then my last one, but not as long as my Chi straightener, definitely dried my hair faster then my last hairdryer too (took maybe 10 minutes, using a rounded brush too), I like the different options, and I use one of the attachments, also the price! The most notable claim obviously was how fast it dried her hair. I highly recommend this hairdryer for anyone who's looking to drastically cut their hairdrying time. While I was waiting for the second hair dryer, I used an old one I'd and the old one took a very long time to dry my hair and my hair looked like a rats nest and very dry when I was done. I don't like to blow dry my hair after showers, but using the cold air button is handy 'cause it gets rid of the excessive dampness without burning my hair to nothing. I was a skeptic when it came to hairdryers--they all blow air into your hair and it dries, right? Bottom Line: This's the best hairdryer for the price. Worked well, although I didn't think the tourmaline made any difference. I've had this hair dryer for 5 years and it still works perfectly. i only used it to dry my entire head of hair about 7 times at most and the thing just stopped working. This dryer works well and I like the temperature settings. this works great for a blow dryer and was cheap. Works perfectly fine as should and I've no complaints with product. 6 months in something in the heat function broke and it didn't work as well as it originally did. Its not too loud, still works great, easy to hold in hand, has the bonus piece, good price and good setting, hot, warm, cold and low/high. I know this may seem strange, but it works. I'll buy a new hairdryer and will try another one in hopes of it working more than 9 months. Hot and warm heat settings and high and low dryer speeds are perfect for my hair. I've thin to normal hair and it may be too hot for thin hair because although the box advertises no friz, I'm still getting some friz or it may be damaging my hair due to the hot heat. Why I returned it was that it the 2 heat settings weren't good for me. The "warm" was actually hot and the" hot" was way too hot for my fine delicate hair. It's two heat settings, warm and hot as well as a cold shot button. It's very difficult to get the right speed and heat setting for fine hair. Pros: Very light weight and drys well with less heat. It's very loud, the diffuser attachment is very small and the hot setting wasn't hot enough for me. I've very thick, very curly hair (just below shoulder length) and diffuse my hair every day. I've fine hair, and I used it on HOT. Mainly my hair ends up hot and still wet, or frizzy from overheating. I was a little skeptical, because I've fine hair, and many reviews state it's not for fine hair, HOWEVER, I LOVE, LOVE, LOVE this hairdryer. If you've frizzy hair, fine hair, any hair.. So it dries hair very fast. dries my hair so quickly. This dryer is lightweight & dries my hair very fast; I've curly/coily african-american hair & have to use products to make my curls pop, so I wet it almost every morning & this dryer definitely works fast getting my hair dry. For the price, you can't beat this hair dryer - on my Asian thick hair, it dries it fast and makes brushing out (when needed) easy. That hair dryer makes my hair straight, smooth, and shiny. I've natural curly hair so I needed a dryer that didn't fry my hair, this was exactly what I was looking for, is light, can get very hot and it dries my hair extremely fast!. Quiet, light, powerful and dryies my hair FAST. It leaves my hair much softer than the other two dryers and my hair dries in much less time. Fast, gentle, light, hair dryer. It's super light weight and dries my hair (with or without the diffuser) much faster than my old dryer. Inexpensive, light, quiet and dried hair fairly fast but in 6 months one of them shorted and sparks flew out. It's dries quickly and it's super light, although with the diffuser it's not exactly "travel friendly" but you adapt because it's so effective. I haven't timed it, but I don't sense that it dries my (thick, medium-length) hair faster than the old one. I wanted a light-weight dryer and it'S light. I've been suprised at how light the dryer is and how easy the controls are. Did I also mention how light weight it's?! The first time I used it, it tripped my bathroom's 15-amp circuit breaker that's shared with a 5-bulb light fixture with compact fluorescents. The dryer is very light to hold and has a cold setting to finish the job.